Wyndham Garden Norfolk Downtown offers unique Sports rooms and menu packages that will help your team WIN, WIN, WIN! We have perfected the top notch specialized service that creates an atmosphere for your Coaches, Athletes, and Team affiliates to be able to put less energy into the travel and more energy into the game! Whether Professional, College, Amateur, or Junior, we are here to cheer you on! 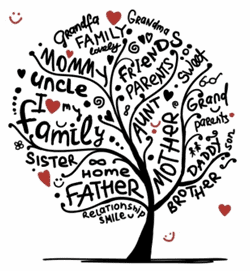 At the Wyndham Garden Norfolk Downtown, we know how to keep your family tree going strong! We will cater to the unique needs of your family by offering our planning and organizational services. It is our job to not only provide your out of town guests with service and hospitality , but also to recognize that “getting family together” is a labor of LOVE! We will ensure to assist you in making it special and close to perfect. Let us host you this year as we will help you make memories for a lifetime! Fill out our Group Reservations Form and one of our representatives will contact you for more details!